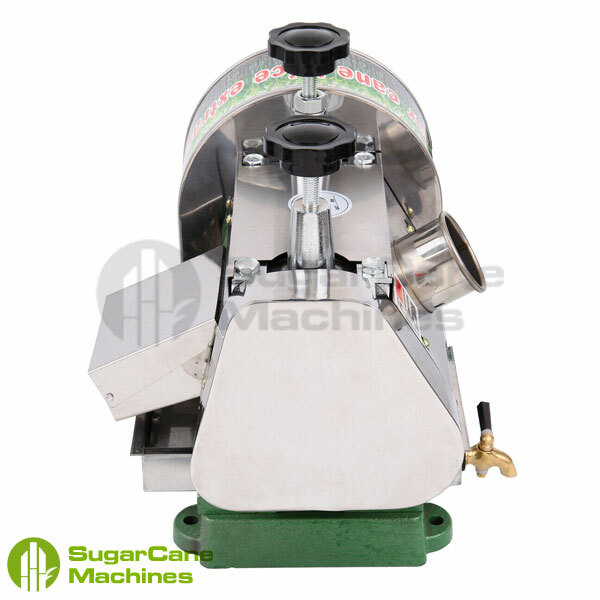 Sugarcane machine manual juicer for sale. 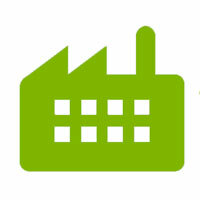 Our sugarcane machine are strong, efficient, durable, and a great purchase for your business. 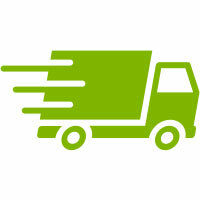 Hit that buy button today or give us a call for more information. 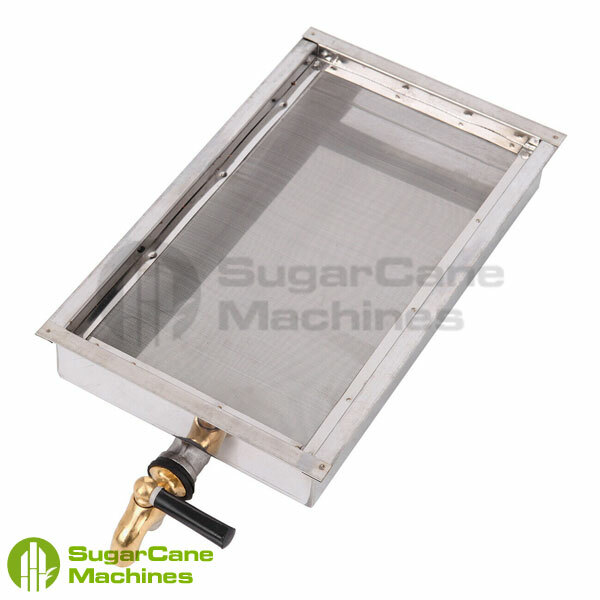 The RAJA-M is an incredibly effective manual sugarcane juice extractor, excellent for manual sugarcane pressing in different enviroments that would benefit your business best. This machine is excellent for many urban and rural locations, including farms or any small beverage service industry. 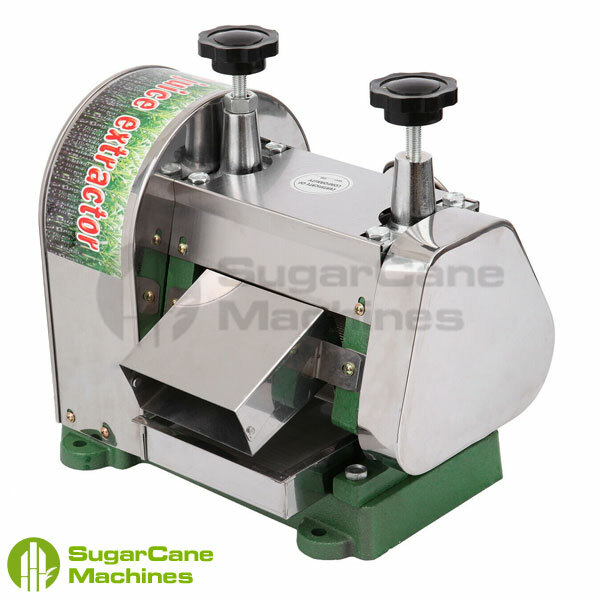 Our Manual Sugarcane Machine is an extremely efficient stainless steel sugarcane juicer which are excellent at extracting the juice content from the sugarcane stalks used, reducing your sugarcane costs as a seller. The cane is pressed 3 times between 4 rollers with one pass technology, by having more rollers this means that there is little to no maintenance because there is less stress on the roller bearings which significantly extends the average lifespan of your machine. If you would like to put the already extracted sugarcane stalk into the feeder again for more juice extraction. 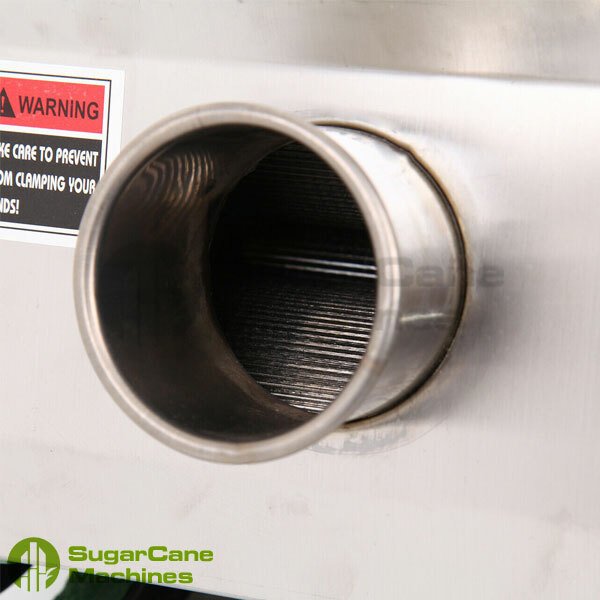 The shell and inside rollers are made of stainless steel to take the pressure it takes to crush your sugarcanes to extract the most juice from them. The body of this unit is made of cast iron with a painted handle wheel. 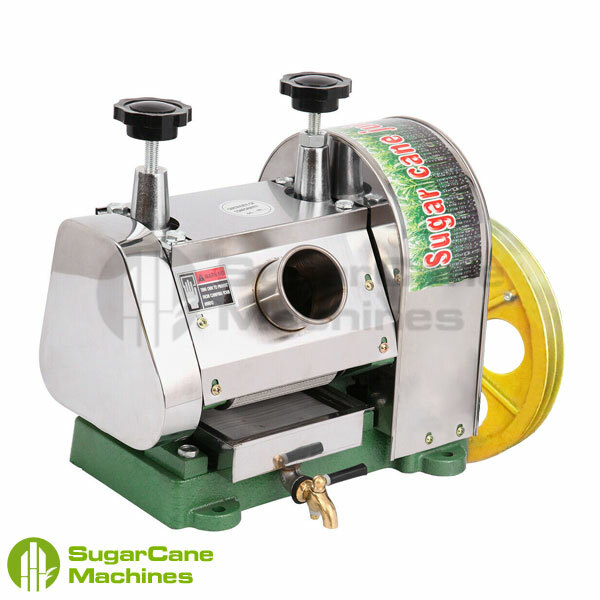 This manual sugarcane juicer is easy to operate and clean, a great investment while keeping costs low.